The PT01 is the ultimate portable turntable allowing for High-quality vinyl playing on the go. This full-featured portable turntable features battery and AC power, built-in speaker, and multiple RPM speeds with pitch control. An efficient belt-drive motor operates at 33, 45, and 78 RPM and there is ±10% pitch control, as well as tone and volume controls. Battle & club style design. +/- pitch adjustment. 33-45 RPM. Aluminium platter, anti skate correction. Detachable power & audio connections. 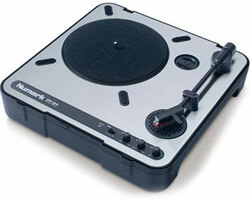 Supplied with cartridge and Numark slip mat. 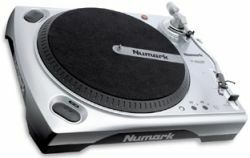 Featuring Plug and Play USB compatibility with both PC and Macintosh computers, the Numark TTUSB turntable makes digitizing one’s vinyl record collection a breeze. 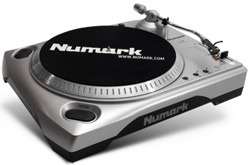 Equipped with an adjustable anti-skating control for increased stereo balance, support for 33.33 and 45 RPM playback speeds, ± 10% adjustable pitch control, and a 1/8-inch stereo minijack input connector to facilitate the transfer of cassette tapes, Numark’s TTUSB is the perfect tool for digitally archiving one’s record collection. Includes Audacity software. Direct drive high torque motor. Direct drive super high torque motor. Changeable straight & fully adjustable "S" shaped tone arms with anti skate and height adjustment. Battle & club style design. 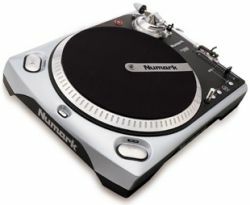 Steel top, rubberized base, aluminum platter. 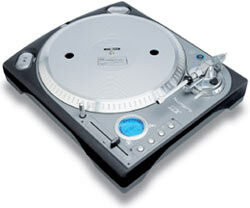 User-replaceable pitch fader, removable aluminum light. 33-45-78 RPM & reverse. Detachable power & audio connections. 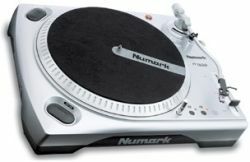 Featuring the same 5.0kgf/cm ultra-high torque direct drive motor as Numark’s TTX, the TT500 is a first-class turntable for the professional DJ who demands uncompromised quality construction while not requiring digital implementation. Patent-pending interchangeable tonearm system (includes both straight and S-shaped tonearms). The result of extensive research into the needs of professional DJs, the TTX1 deftly combines unmatched torque, incredible precision and the world's first interchangeable tonearm design for optimal performance under all conditions. 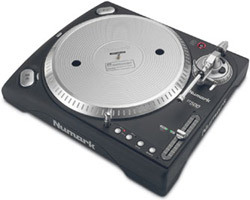 The TTX1 is the new standard in premium turntables. Interchangeable pitch fader and button cartridges for club and battle style.